All hand-tied wefts are Made of 100% high quality human hair. 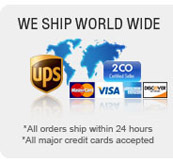 For stock wefts , we can ship immediately after receiving the payment. If you want to order , please contact us , We will offer big discounts for the wholesale. For the stock wefts, We will offer 5% discount for 50pcs, 10% discount for 100pcs, 15% discount for 200pcs. In stock 10" Brazilian virgin hair, natural color , loose spiral curl . In stock 12" Brazilian virgin hair, natural color , loose spiral curl . In stock 14" Brazilian virgin hair, natural color , loose spiral curl . In stock 16" Brazilian virgin hair, natural color , loose spiral curl . In stock 18" Brazilian virgin hair, natural color , loose spiral curl . In stock 20" Brazilian virgin hair, natural color , loose spiral curl . In stock 22" Brazilian virgin hair, natural color , loose spiral curl .